It looks like Contractors IR35 HMRC Worst Nightmare is about to become reality. There’s not much that could be worse in tax and IR35 terms. 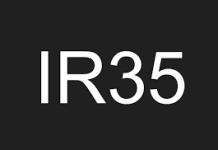 The Government made changes to how IR35 was implemented in the public sector in April 2017. 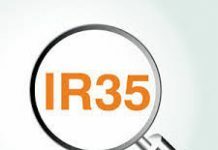 The crux was that contractors and freelancers would no longer determine their own IR35 status. That would be determined for them by the Government department who takes them on. And there are penalties for Government departments who get it wrong. So, many Government departments have erred on the cautious side – and reclassified all their contractors as employees. This is for tax purposes only. There will be no benefits like paid holidays for the contractors. This is what the BBC did. They reclassified all their BBC presenters who had previously been operating as freelancers, as employees. Many had been operating for years as freelancers using limited companies. However, Lorraine Kelly recently had the IR35 verdict against her overturned at the Commissioners. HMRC implemented a new online Employment Status Test to help Government departments assess if contractors are really contractors – or are really employees. They said that they expected that 90% of contractor would fail the test. One agency operating in the public sector said that 40% of their contractors who were using limited companies failed the test and had to shut down their limited companies. This is bad enough but contractors IR35 HMRC worst nightmare is about to become true. With the BBC reclassifying their freelancers as employees, HMRC have now stuck the boot in. They are saying that if the contractors have been reclassified as employees, that means that they were always really employees. They say this means that they were never really freelancers. So, they should never have operated through limited companies according to HMRC. Yes, I think you can guess what is coming next. HMRC are now hunting them down and demanding that they stump up all the back tax that they owe them for falsely claiming they were freelancers over the years. In a separate case, Look North presenter, Christa Ackroyd, has already had to pay them the difference between the tax she had already paid and the £400,000 that HMRC claimed she owed them. She took it to a tax tribunal and lost. According to the tribunal she falsely claimed she was self employed when she was actually an employee. HMRC are now looking for back tax from all of those presenters who are now classified as employees. One of them, the Reverend Richard Coles even has several clients – and the BBC have still classified him as an employee now. This will have to change as Lorraine Kelly has successfully appealed the HMRC claim against her. The Commissioner said that t wasn’t even close. However, we can detect the intentions of HMRC. They intend to pursue the back tax, interest and penalties for previous contracts of contractors who have failed their CEST IR35 test. So, all those freelancer who are working for the public sector, and who have had to close down their limited companies after failing the online test, are now facing their worst nightmare. It is the HMRC logic that if they are now classified as employees, they must always have been employees. So, they were claiming false self-employment for all those years. So, they owe HMRC the back tax for all the years that they claimed to be freelance and operated through limited companies. Those of you who operate in the private sector should not just be looking on sympathetically. Because the Government are planning to change the IR35 rules in the private sector too – in April 2020. So, around 90% of all contractors, according to HMRC, will now be inside IR35 and classified as employees. According to the agency, around 40% of those now using limited companies will have to shut them down and pay the tax as employees. Most of the freelancers in the public sector used umbrella companies rather than pay the IR35 tax. If the BBC is anything to go by, HMRC will now demand that they pay them tens of thousands, or even hundreds of thousands of pounds in back tax, penalties and interest for all the years that they operated as freelancers using limited companies. This could bankrupt the freelancing industry. When the IR35 changes were implemented in the public sector, some departments decided that they would no longer take limited company contractors. Those contracting through limited companies had to close them down. Rather than pay the IR35 tax, though, there was a mad scramble for umbrella companies by contractors. Other departments made contractors sit the new HMRC Employment Status Test. If they passed they could continue using limited companies. If they failed they had to get themselves an umbrella company. From what we hear about half of contractors have failed the test or have indeterminable results. One thing about the test is that HMRC have to be sent the results for future reference. The big fear of contractors at Government departments was that HMRC would say “If you failed the test that means that you were never really self employed. So, you owe us a whole load of back tax going back years”. It now looks as if this is going to be the case. And private sector workers, this is coming your way in April 2020. See also Theresa May to Abolish Contracting Profession in April 2020. If you know anyone else who may be affected by this and would find this article useful, please share it with them using the social media buttons at the top and bottom of the page. 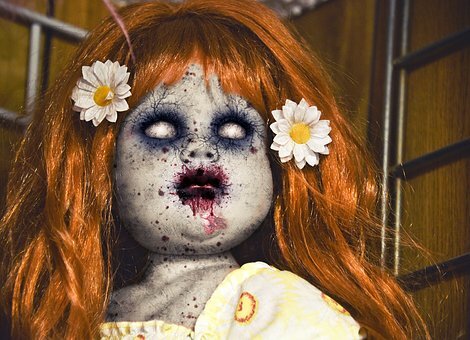 It’s lucky that Lorraine Kelly had the money to pursue her case. 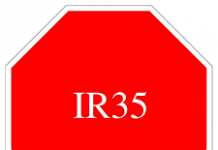 It’s crucial that freelancers have IR35 insurance. If you want to find out how much you would retain using an umbrella company, in preparation for next April, just fill in the form below and they’ll be in touch. Next articleWhat Are Umbrella Companies and Which Contractors Should Use Them? Surely if you are classified as an employee your also entitled to claim holiday sickness and other benefits in arrears as well? Having contracted in the IT industry for 20 years plus, and although I think IR35 is fundamentally unfair, I can’t disagree with the HMRC looking to back date a decision. If you contract at a single organisation for more than a couple of years it is pretty clear that you are part of the furniture and really a disguised employee. The answer to this is of course, don’t do it. And if you take advantage of the health care system and education and roads and so on, pay yourself a reasonable salary and therefore pay a reasonable amount of tax rather than abusing the system just because you can.